So, you’ve spent time perfecting your skincare routine. Your breakouts are under control, that new exfoliating toner is doing the trick, and your skin feels better than it’s felt in ages… and then winter comes along and it feels like you’re all the way back to square one. Not to worry, though – all is not lost. It’s often just a few slight tweaks to your everyday routine that’s needed to balance things out again. If your skin is doing all sorts of crazy things this season, take a look at our guide to winter skincare favourites. Chances are that patch of dryness might be cleared up with a more compensating cleanser, or your chapped hands need a more heavy duty cream. As always, if you’d prefer personal recommendations or have any questions, comment below! If you’re anything like me, your skin is pretty dry at the best of times. In winter though? We’re talking a whole other level of parched! It’s important to slather on a good body cream all year round, even if you’re not baring your limbs, as you still experience moisture loss without exposure to the elements. I’ve been using and loving the nourishing Bioderma Atoderm PP Baume Ultra Nourishing Emollient Balm. Designed for those with atopic skin and eczema, the balm repairs and optimally quenches the skin, lock that moisture in and maintain the hydration over time for ultimate protection. Importantly, as it’s for those with reactive and sensitive skin, the texture is lightweight and very comfortable. There’s no tackiness or residue here, and absolutely no scent. It’s such a winner for winter skin – one application, and you’ve got all day protection with a satin-soft finish. Everyone loves a softening, protective hand cream during winter. However, if your hands are chapped, sore and damaged, you’ll need a ramped up formula that will tackle the problem rather than conceal it. 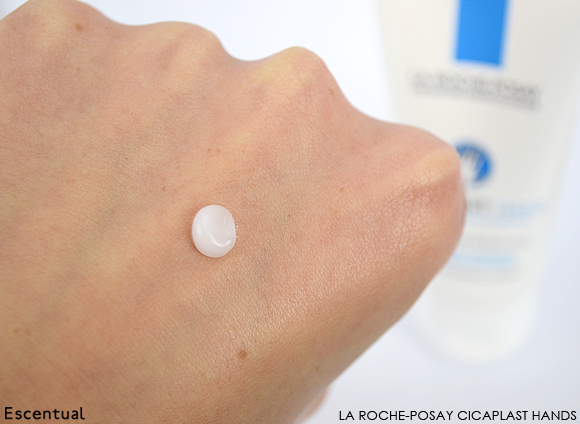 La Roche Posay’s brand new skincare release Cicaplast Hands will do just that. This special hand protector has the most unique texture – almost like a matte, translucent sorbet – and it feels so silky during application that it really is a pleasure to use. Cicaplast Hands focuses on the total repair of sore skin, with a 4% concentration of anti-inflammatory niacinamide and a huge 30% concentration of glycerine for lasting hydration. It sinks in rapidly and leaves a very slight, satiny veil on the skin to restore the barrier function and keep the moisture locked in. Created for those who work with their hands a lot, from nurses to office workers, it doesn’t leave a greasy residue. A quick application and you’re good to go! 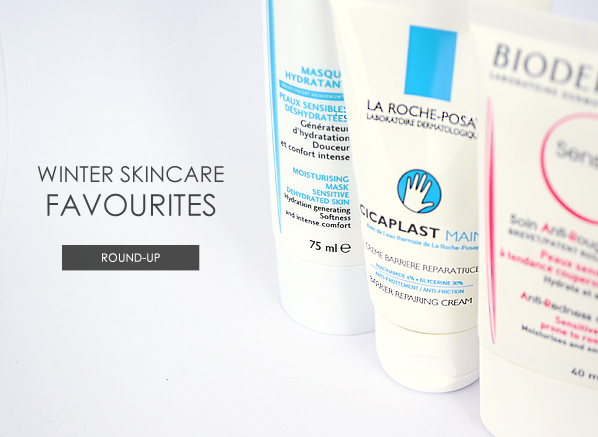 Moisturising is, of course, extremely important when it comes to protecting your skin. However, did you know that your choice of cleanser also plays a big part in how your skin reacts to the cold? Using harsh detergents can strip skin of essential lipids, disrupting its protective barrier. Emollient, creamy cleansers like the Clarins Extra Comfort Cleansing Cream focus as much on moisture as they do the removal of impurities, making for a really gentle and effective cleanse. The Clarins Extra Comfort Cleansing Cream is especially good because it’s created with a base of skin-loving shea butter, plus jojoba oil to moisturise and preserve elasticity. Take a scoop of the cream and take time to massage it into the skin to loosen make-up and impurities before wiping away with a muslin cloth. Though a muslin cloth isn’t an essential part of the routine, it’s well worth adding in. It’ll gently exfoliate away the dead skin cells that can plague drier skin types and make it look dull, while providing an ideal base for maximum absorption of your moisturiser. Skin that’s prone to sensitivity can become even more reactive during winter. Heaters, harsh winds and exposure to freezing temperatures make weakened capillaries dilate, resulting in flushed skin that feels really hot and bothered. 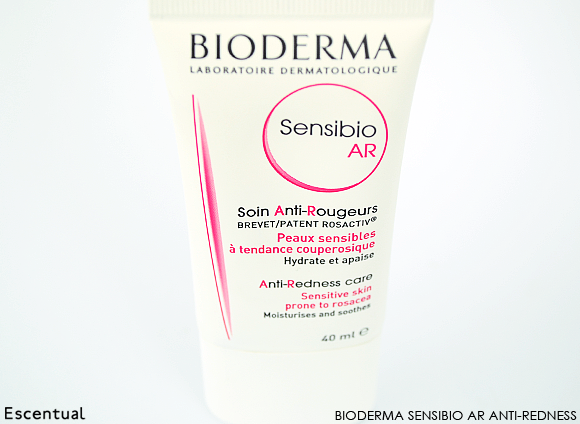 This is where the Bioderma Sensibio AR Anti-Redness Cream comes in. This lightweight daily moisturiser soothes the skin, working to instantly relieve diffuse redness. A patented Roseactiv complex tackles the factors that weaken the capillary walls to prevent redness, while also strengthening the skin itself to withstand the unpredictability of the elements. It’s a two-step wonder for skin that really doesn’t like the cold, and it gets more and more effective with every use. Once you’re settled on an appropriate cleanser and moisturiser for your needs, the next step is a once-a-week treatment that will give your skin a potent moisture boost. 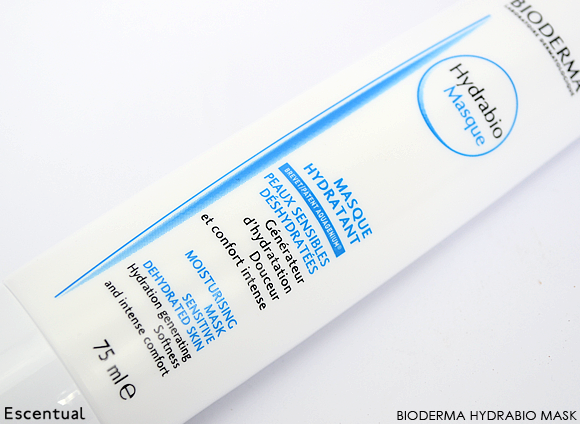 One of our favourites for dry and dehydrated skin is the brand new Bioderma Hydrabio Moisturising Mask, an extension of the much-lauded Hydrabio collection. It’s designed to provide a significant moisture injection for even extremely parched skin, and locks that moisture in so skin feels really supple and comfortable. Use this every day for the first week, and then once a week thereafter (why not create a whole pampering routine one night a week?). Start with a gentle exfoliator to clear dead skin cells and optimise absorption, and follow with a thick layer of the mask. Let it sink in for as long as possible and wipe away any excess with a cotton pad. When it comes to protecting lips at winter time, the cult Nuxe Reve de Miel Lip Balm is a fail safe product. Its shea butter base is bolstered with an infusion of plant oils for some serious moisturising prowess, and the density of the formula locks moisture in to create a barrier against external aggressions. Reve de Miel is quite unique in that it makes no qualms about being thick and indulgent. In fact, depending on how thickly you apply it, it could very well double as an overnight lip mask! (Try it, you’ll wake up to the smoothest lips ever.) Despite this it never feels greasy or ‘too much’ when you wear it, and you need the tiniest amount to cover the whole lip area. The honeyed whip is protective, indulgent and it makes lips feel so incredibly soft – it’s just what you need when the temperatures start to drop. No wonder there’s one sold around the world every 28 seconds. Which products have made your SOS kit this winter? Let us know below! This entry was posted on Thursday, November 28th, 2013 at 9:00 am and is filed under Skincare, Tried & Tested. You can follow any responses to this entry through the RSS 2.0 feed. You can skip to the end and leave a response. Pinging is currently not allowed.